I'd love to see more. And the story behind it, too! GMT-Master 1675 - Explorers - Rolex & Tudor Submariners - Omega Speedmasters - etc. a REAL BEAUTY..... cant wait to see more!!!!! 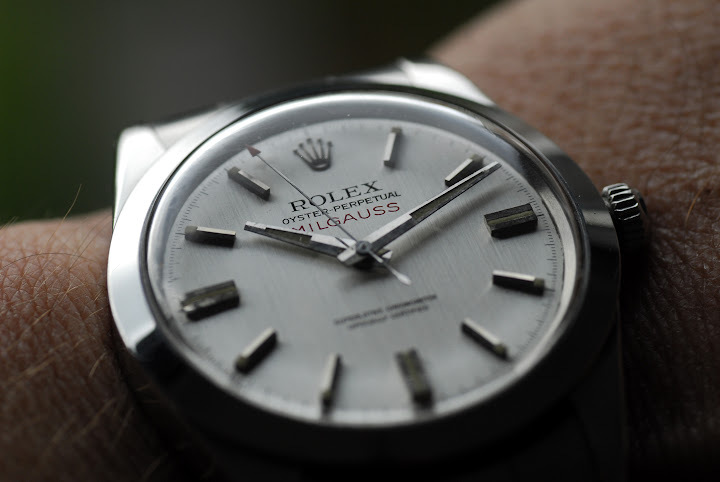 The simplicity of the dial is wonderful! Look forward to seeing some more pics. My uncle bought this watch in 1969 before he took off for a trip around the globe in a yacht. He needed a reliable watch to be able to calculate his position on the ocean. 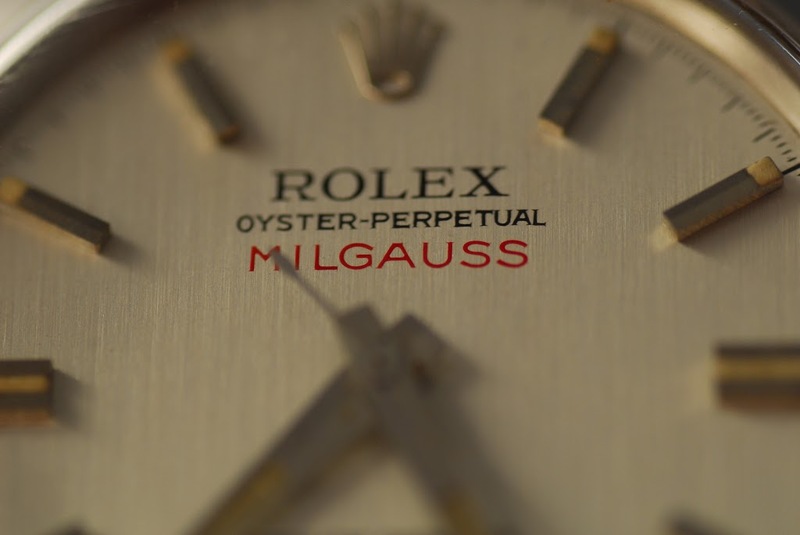 Don't know why he bought a Milgauss, probably because it was one of the cheapest Rolexes to buy in those days. After traveling all around the world on my uncles arm, it finally ended up in New Zealand in one of his drawers. About 20 years ago I asked him whether he still owned that old Rolex. He did! I asked him what he wanted for it... He said a Citizen Aqualand would be fine. NICE story..... GREAT uncle..... and of course your REAL beauty!!!!! 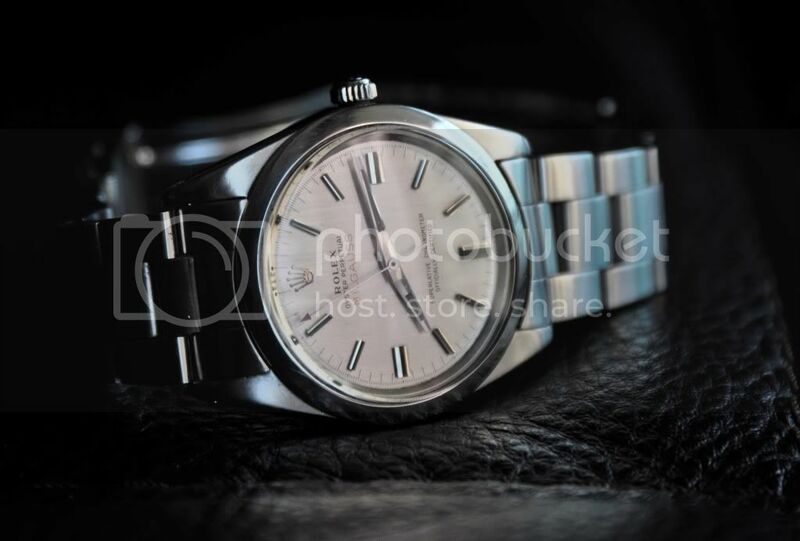 So you have had this Milgauss for 20 years? It is a beauty in any event. 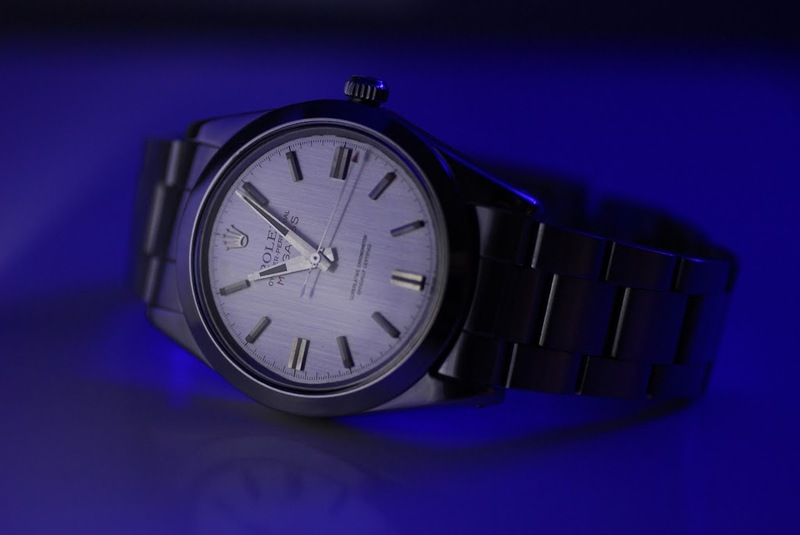 That's a really cool story, interesting how your uncle decided to get a Milgauss on a yacht. Um...I believe we were teased with the prospect of more pix. Bring 'em. I still can not believe I passed on buying one in 1987 for nearly nothing. 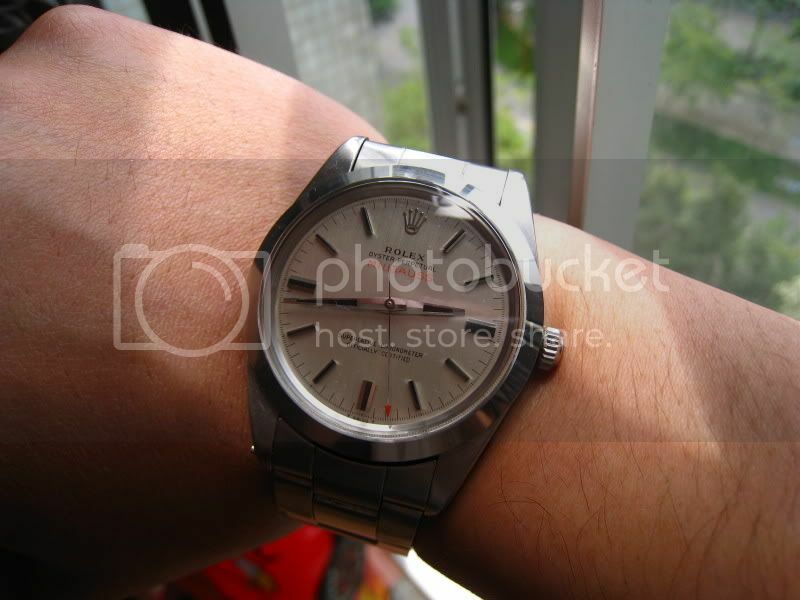 I opted for the GMT 16750 instead as it looked more popular. If I could just go back in time!!! Well forgive this as a first post, been hanging around and reading up, great site. I got mine as a 21st birthday present, was either this or an air king and this cost £50 more at the time and my Dad pushed the boat out and got this. 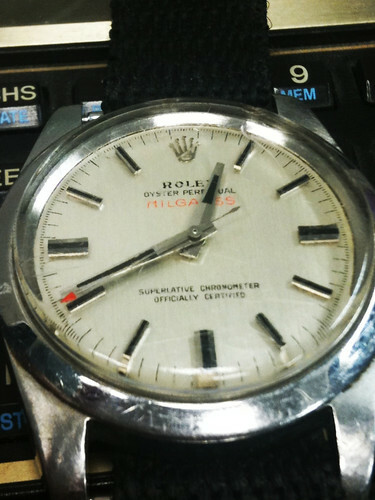 I've worn it every day for the last 20 years, swimming and DIYing - its been super reliable and only back to rolex twice. 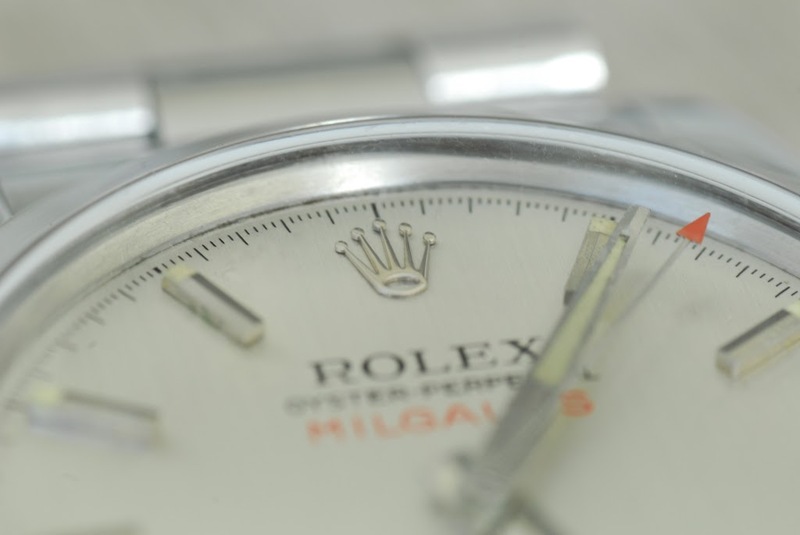 Only found out it was valuable last year when I bought my wife a Rolex and asked if they could do an insurance valuation on mine at the time. I do now have a casio that I use when doing anything extremely stupid after I hit the face of it with an angle grinder when cutting a hole in a wall for a tumble dryer (one of the trips back to Rolex). Nice one Jeff, treasure it! 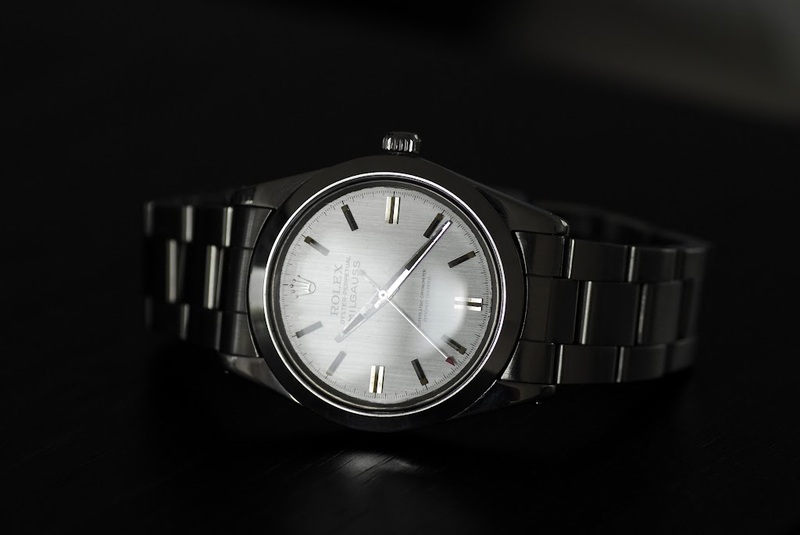 Beautiful Milgauss and great story! OMG! A Citizen for a 1019! That's qualified theft in most states! Very beautiful watch! And I love the pics. From my research it does have the so-called CERN dial. One thing I cannot pin down though, is whether this watch is water resistant or waterproof (Not that I intend to go diving with it). Can anyone clear up this question? 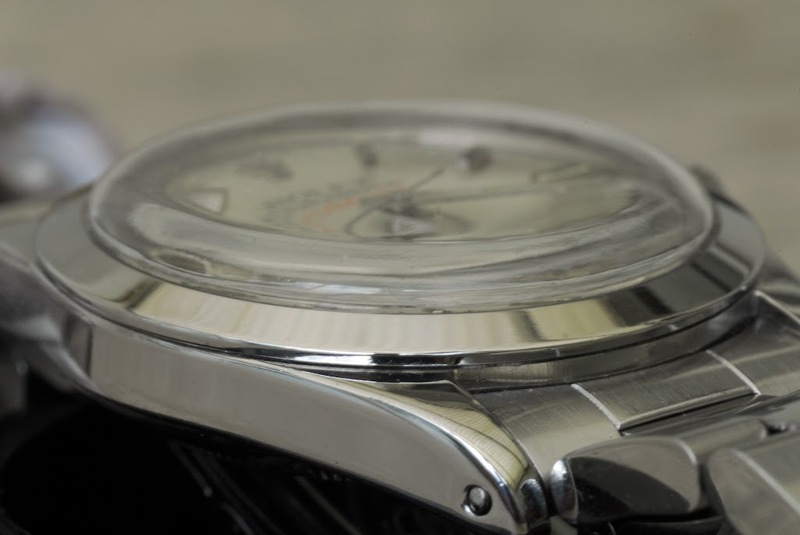 All Rolex watches in oyster cases with fresh seals are waterproof just not pressure proof!! I believe when that beauty left the factory it was rated to 100M. Great pieces!! CERN dial. Gimme five 1369!!! by any chance you have a photo (is camera invented then??) of your uncle with his yacht/watch? time is what a clock measures . . . especially ROLEX ! How big are these two Millies? 34 or 36 mm ? I love the CERN dial.